Robert E. Gluck is well-known as a Pembroke Pines Personal Injury Attorney with a great amount of legal experience. He understands how traumatizing an accident can be, and how severe a resulting injury can be. If you suffered an injury at work, at your home, while operating an automobile, or traveling on a bus, be sure to contact Robert E. Gluck for an appointment. He is committed to personal injury law, and has handled numerous cases comparable to yours. He has impressive credentials and truly knows personal injury law. Your Pembroke Pines Personal Injury Attorney will have to prove negligence was present during the accident before he can get you the financial compensation you deserve. Negligence happens when a person does not use reasonable care. The person who was negligent must be held responsible for any injuries sustained during that time. You do not want to wait to hire an attorney. Do so soon before it impacts you negatively. Your attorney will help you get the compensation you are entitled to, but the sooner you hire him the higher the chance of success. You will definitely need a Pembroke Pines Personal Injury Attorney if you have been injured in an accident, but the sooner you do it, the better it is for your case. Studies show that when an injured person hires legal representation, he has a higher chance of getting better payment for his injuries. You have to be careful because injuries are sometimes worse than they seem, and can appear as more severe after the accident has passed. This is why you need a compassionate attorney who not only understands the law, but will also fight hard to protect your rights. Robert E. Gluck will act as your voice and get you the best outcome he can, based on the facts of your particular situation. 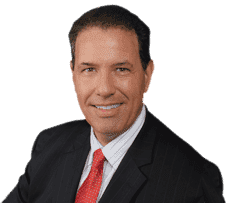 When you arrive to the Law Offices of Robert E. Gluck, P.A., you will greeted by your Pembroke Pines Personal Injury Attorney, Robert E. Gluck. He will decide on what actions to take, and how to proceed with your case. As an experienced personal injury attorney, Robert E. Gluck will launch a complete investigation of your accident. If you hire the wrong attorney, you may lose your case. Hire the right personal injury attorney, hire Robert E. Gluck to significantly increase your chances of winning.